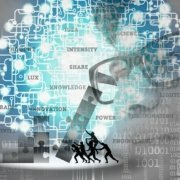 As the digitization of industry and the global economy continues, a necessity for reliable, faster and more secure networks to connect businesses and the global supply chain continues to grow. 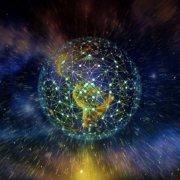 It is no surprise then that major companies and service providers, such as IBM and Vodafone, are forming joint-venture initiatives to test and develop a 5G ecosystem which, according to President of Mobile Networks with Nokia, Tommi Uitto, can generate new potential for automated operations and artificial intelligence. While the worldwide implications of 5G technology are myriad, with leading companies Nokia and China Mobile seeking to create a more open and interoperable form of architecture for high-speed networks, its application to the ports and terminals sector could be game-changing. As Dr. Yvo Saanen, Founder of simulation specialists TBA Group explains above, there is a need to connect a port’s assets, machines and people to systems, thereby increasing the safety and efficiency of cargo-handling operations. The ability of 5G to optimize operations and “transmit data safely within milliseconds” is already being trialled as part of the Wireless for Verticals (WIVE) research project, one of many initiatives demonstrating the technology’s value as a catalyst for improved performance. It would be easy to focus on the speed of 5G alone, especially when the development of this technology is likely to produce much shorter network response times for a wide variety of industries, including the logistics and port sectors. However, as the University of Surrey’s world-leading 5G Innovation Centre underlines, the next evolution of connectivity is more significant than catering to the individual needs of everyday consumers: 5G is as much about “machine-to-machine” as it is “people-to-people”. The flexibility of 5G networks, to “evolve, adapt and grow” is vital to the progress and implementation of this next technological phase which will allow applications to perform the “bandwidth-heavy” tasks demanded in the future. Other benefits of 5G, as explored by key industry players like Nokia, include its prediction capabilities, security and reliability, positioning the technology as a crucial foundation for the development of machine learning tools. Marc Rouanne, the ex-President of Mobile Networks at Nokia, once stated that “AI and machine learning will enable a myriad of new service opportunities”, in addition to reducing end user costs and minimizing the consumption of energy. Like a whole host of other industries seeking to ride the wave of digitization, businesses in the maritime sector, such as service providers, are hoping to leverage 5G to their collective benefit. Kalmar, a provider of lifting solutions, is already trialling 5G applications and building a “technology road map” that will make the next stage of connectivity part of the “industrial standard of the future”. Forecasting the revolutionary potential of 5G, Kalmar’s Director of Automation Research Pekka Yli-Paunu has predicted that “advances in connectivity give us the opportunity to develop the next generation of remote control that may utilise not only video, but audio and haptics as well”. In addition to this, major ports are conducting their own 5G trials, testing its capability to drive advancement in other areas and provide a bedrock for smarter, more efficient operations. The Port of Hamburg has already hailed the success of their project, with intermediate results indicating that “5G enables new types of mobile applications for the Hamburg Port Authority’s business”. Looking ahead, Hamburg has isolated “5G network slicing” as an area that will have a particular impact on operations, laying the “foundation for new IoT applications” and “business models” that will boost the competitiveness of the entire port industry. The cooperation of key players from multiple industrial and technological fields is currently forming an access point to 5G for businesses in all sectors. Nokia has emphasized their work with “a lot of partners in the ports and terminals space, such as Konecranes, to enable the development of a connected ecosystem,” with the company “well positioned to understand the applications and savings made possible by mission-critical wireless technologies”. According to Nokia’s statistics, ports and harbours make up a significant proportion of its vertical enterprise customers, all of which are currently deploying private LTE networks for their operational campus needs. In the case of ports like HaminaKotka (located in Finland) the focus of “operational needs” once again shifts to connectivity, correlating to the intelligent machine Dr. Yvo Saanen imagines in his assessment of 5G. Based on the sound situational awareness of container handling, warehouse logistics, and port security which machine-to-machine and machine-to-person connectivity offers, operations can be improved across multiple areas, from safety and efficiency to environmental performance and cost-effectiveness. The extent of 5G’s potential impact on ports and terminals is still uncertain, but as operators and service providers search for smarter solutions, and ways to leverage automated technologies, the key word for the future is connectivity. The Portuguese government has announced an initiative aimed at accelerating the creation of smart tech start-ups in the shipping and ports sectors, according to a statement. Named ‘Bluetech Accelerator – Ports & Shipping 4.0’, the programme is being led by the Minister of the Sea of Portugal and is designed to make the country a world leader in smart technology innovation. The government has said it has already established a coalition of stakeholders, including shipping groups Portline Group and ETE Group, the ports of Sines and Leixoes and digital and robotics companies Inmarsat and Tekever to identify and finance start-ups in the smart technology and shipping industry. The chosen start-ups will be announced in the last quarter of 2019, and the government has said it expects other stakeholders in the maritime and port sector to join the initiative. Speaking about the initiative, Portuguese Minister of the Sea, Ana Paula Vitorino, said: “The Portuguese port system must be seen as the front line of the implementation of the blue economy based on the operational, energy and environmental innovation of maritime industries, promoting the emergence of new companies. A recent Port Technology technical paper looked at smart investment in the maritime sector. “This objective will be possible through the creation of a network of Port Tech Clusters, platforms for accelerating the technological and business innovation of sustainable blue port-based businesses. “From here will be created new companies that will constitute and reinforce the Port Tech Cluster 4.0, innovation network that will be installed in the national port system focused on the application of industry 4.0 to the maritime-port sector”. The Port of Sines, a key participant in the scheme, signed an agreement last week with MSC Mediterranean Shipping Company to develop a new, next-gen container terminal, a story PTI covered. Terminal Drones: Game-Changing or Hot Air? Drone technology could be vitally important to the evolution of smart ports and terminals, but they also present a number of challenges in terms of safety and security. This insight delves into their utility within the port and terminal sector, and questions how valid they are in such an arena. According to EU Commissioner for Transport Violeta Bulc, “…drones are a key part of the future of aviation and will become part of our daily lives”, yet for some ports and terminals, drones are already a part of daily operations. After testing their ability in filming site operations, monitoring traffic flows and observing unsafe behaviour, APM Terminals introduced the technology at its facilities in San Antonio, Texas and Santiago, Chile. They are not the only ones to make this leap. Today, drones are in operation across multiple ports, terminals and maritime facilities around the world; some have been put to use surveying Israel’s new Gulf Port in Haifa, while others have been tested at the Port of Singapore as a method of delivering small loads. However, it should be noted that port operators are not the only maritime players testing and implementing drones for a variety of purposes. Wilhelmsen, a provider of smart shipping solutions, is currently developing Unmanned Aircraft Systems (UAS) with the Civil Aviation Authority of Singapore, and predicts that drone deliveries could reduce shore-to-ship costs by 90%. Could the introduction of drones to the maritime sector therefore be considered a catalyst for change? In April 2018, logistics provider GEODIS teamed up with DELTA DRONE to develop “a completely automated solution for inventory management using unmanned drones”, the very first of its kind. The same quadcopter drones implemented by Abu Dhabi Ports were used again by these two companies, who were able to combine the surveillance capabilities of drones with geo-location technology, allowing the unmanned devices to navigate a warehouse and perform administrative tasks. The development of drones is also being supported by massive companies like Allianz, which has encouraged shippers to use the technology more effectively for a range of monitoring purposes. 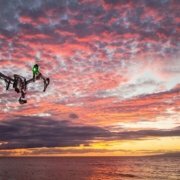 According to maritime surveyors, drones are able to assess vessel damage, undertake search and rescue operations and assess environmental pollution. On the other hand, Allianz has also stressed “the importance of striking the correct balance between human interaction and technological enterprise to prevent standards falling. Key “standards” that need to be considered, when deciding how to implement drones within ports and terminals, are safety and security. With these concerns in mind, could the emerging technology be a double-edged sword for the maritime sector? The Port of Rotterdam has highlighted the “less sympathetic ends” to which drones could be used, including “reconnaissance for criminal activities” and “espionage”; as well as ensuring the security of ports, the technology also poses a potential threat. It is for this reason that ports like Rotterdam have imposed strict rules and regulations on the use of drones, prohibiting private operators from flying over port areas without a special permit or permission. Standardization was a key topic of discussion at this year’s Smart Ports and Supply Chain Technologies Conference. For now, maritime authorities can establish restrictions to protect the integrity of their operations. 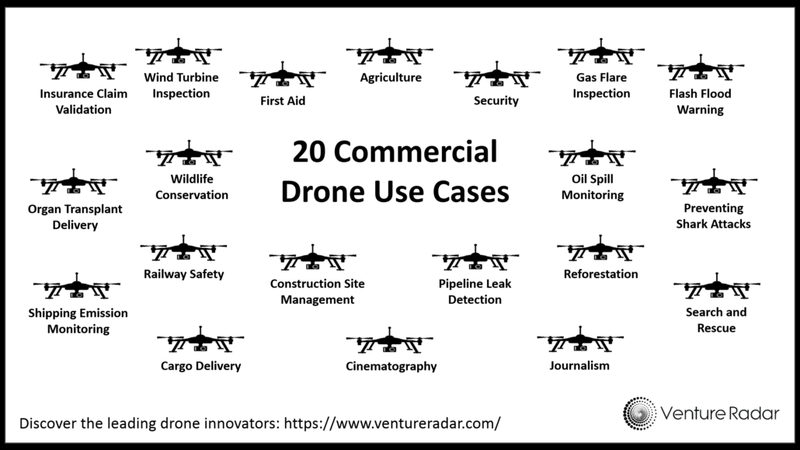 However, as drone technology continues to advance, will major players be able to maintain the same levels of security? As with all technological developments across the industry, the future remains uncertain. Nevertheless, there is cause for optimism. In March 2018, design consultants PriestmanGoode revealed their vision for the future of drones, the technology’s capacity to innovate change and create revolutionary solutions set to extend beyond ports and terminals. The Dragonfly delivery concept imagines a world in which cities and commercial centres can be relieved of congestion by drones, the devices passing between buildings as they proceed towards their destination. While this kind of futuristic landscape might seem a lifetime away, the rapid progress of drone devices is ready to change the way global trade operates, including the operations of increasingly automated ports and terminals. The challenge now, for those key maritime players, is keeping pace with technological developments, ensuring that safety measures are sophisticated and prepared for the risks presented by such a flexible technology. https://www.escolaeuropea.eu/wp-content/uploads/2018/11/drone-698564_1280.jpg 853 1280 2e3s https://www.escolaeuropea.eu/wp-content/uploads/2018/03/logo-blanc-2e3s-300x250.png 2e3s2018-10-30 06:32:152018-11-13 06:37:08Terminal Drones: Game-Changing or Hot Air?